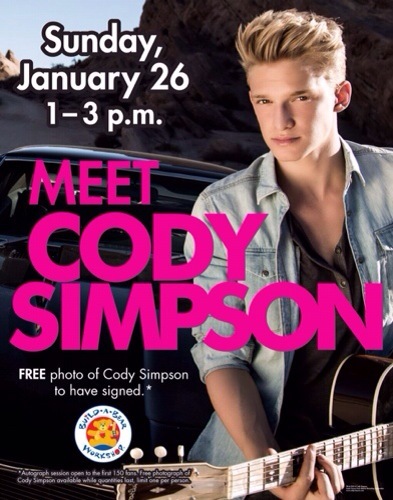 In just 3 days, Cody Simpson will be visiting the Build-A-Bear store in the Cool Springs Galleria in Nashville! It will take place January 26th at 1 pm! Don’t miss this one! For more details, check out the photo above.